India’s biggest cricket tournament IPL 10th series will begin from April 5, 2017. 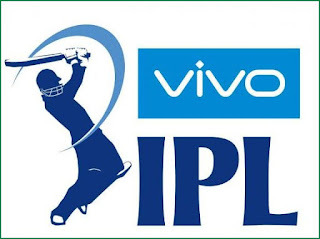 All over the world, cricket fans waiting for this tournament because top Indian cricketers as well as foreign players are also playing in this series. There are total of 8 teams playing in this tournament and each team has to play 14 matches. The final match will be played on Rajiv Gandhi stadium in Hyderabad on 21st May 2017. 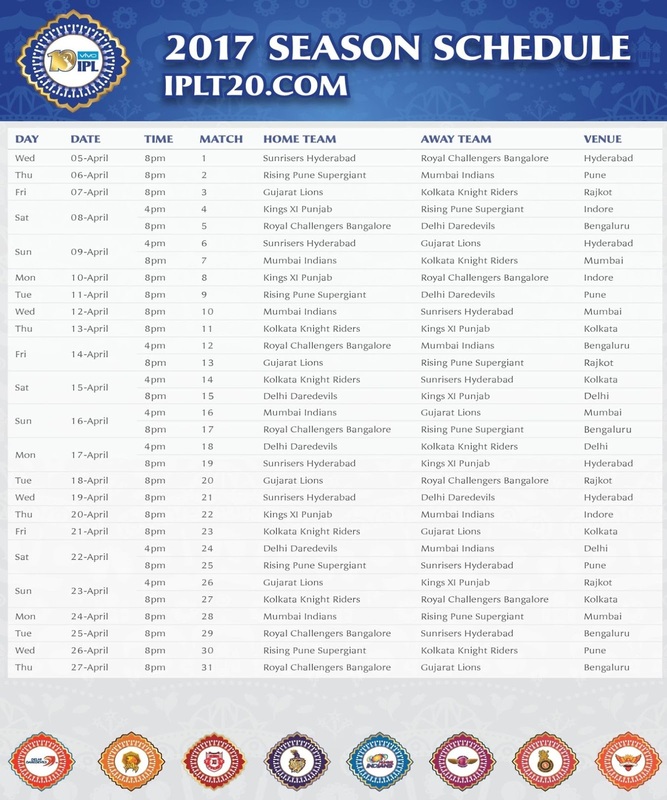 IPL 10 2017 playing teams are here. 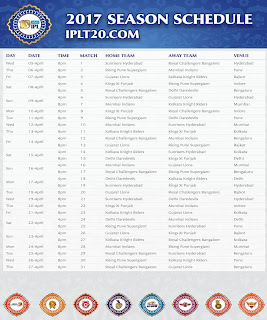 Are you a Cricket lover? If you want to see IPL T20 2017 Schedule on your mobile, desktop and looking for IPL Schedule PDF Download Links. 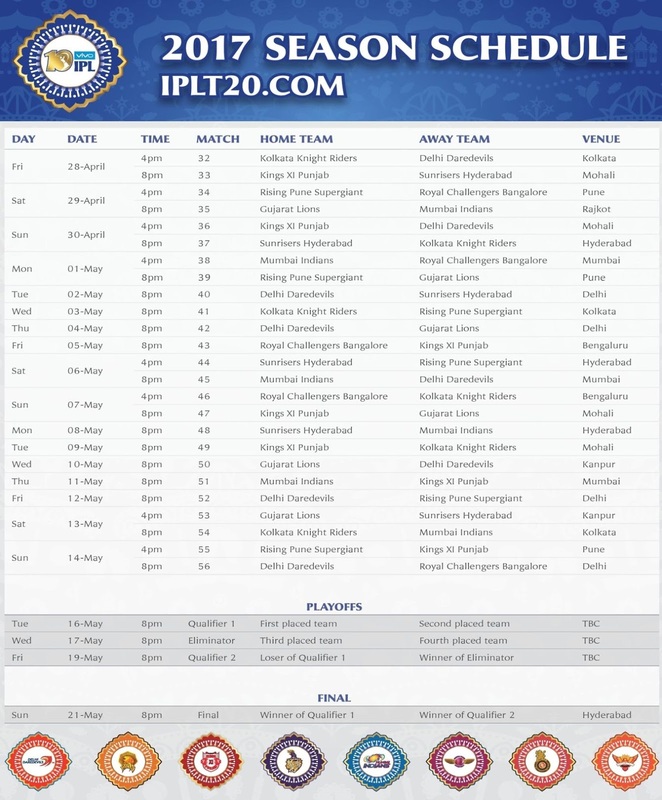 So here we are providing the Vivo IPL Schedule 2017 PDF File which can be downloaded easily with a one click.